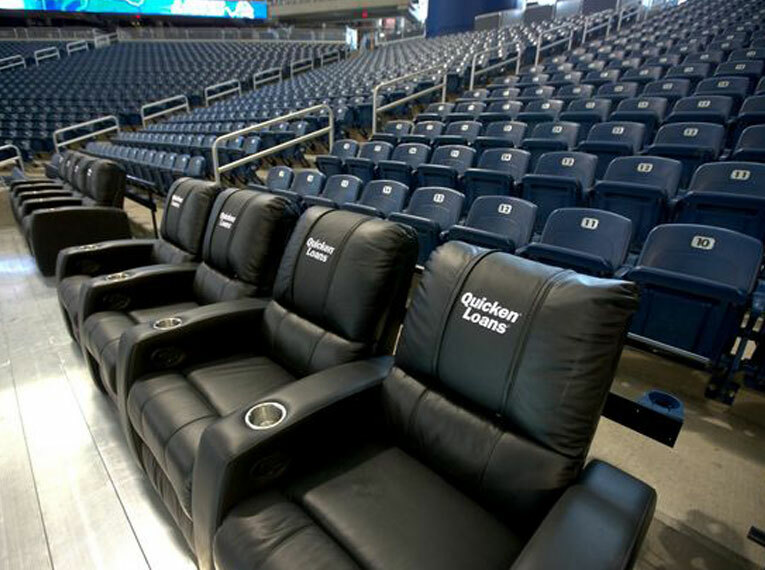 Detroit Lions, Quicken Loans DreamSuite at Ford Field. 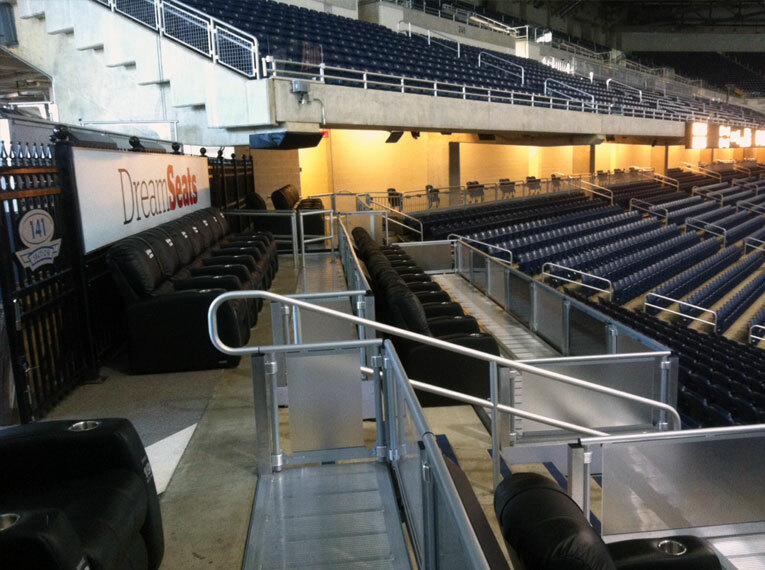 When the Detroit Lions were looking for a unique sponsorship area Seating Solutions and DreamSeat stepped up and pitched the DreamSuite. 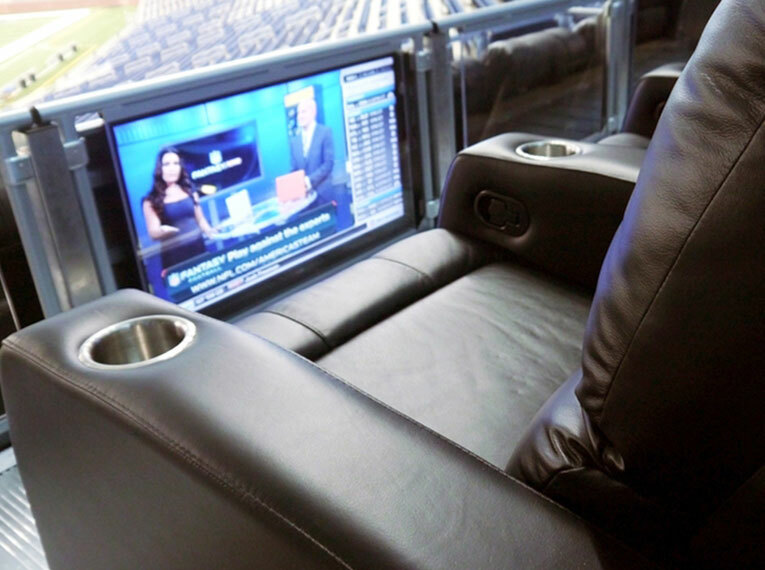 Located in the lower bowl of a corner of the stadium the new 62 seat DreamSuite utilizes XZipit reclining chairs, flat screen televisions, and the first all glass railing system in a DreamSuite. 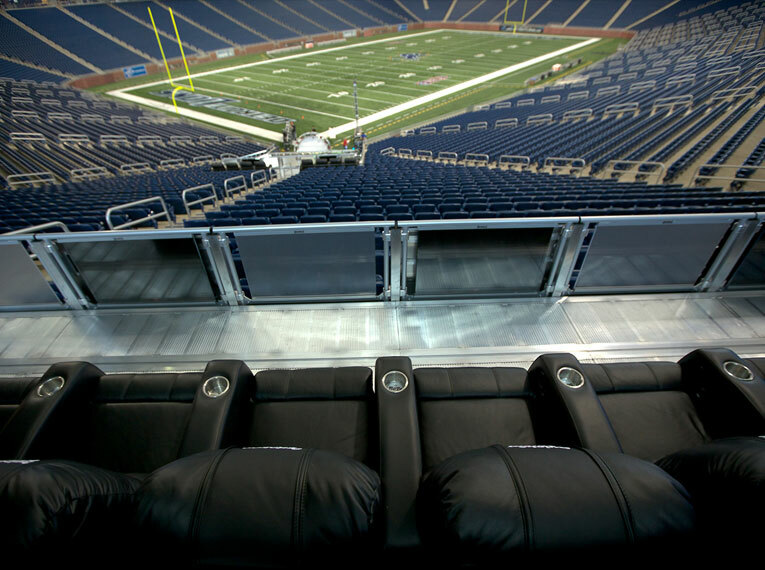 The result was an unrivaled VIP seating area that is the best area in the stadium to watch the game. 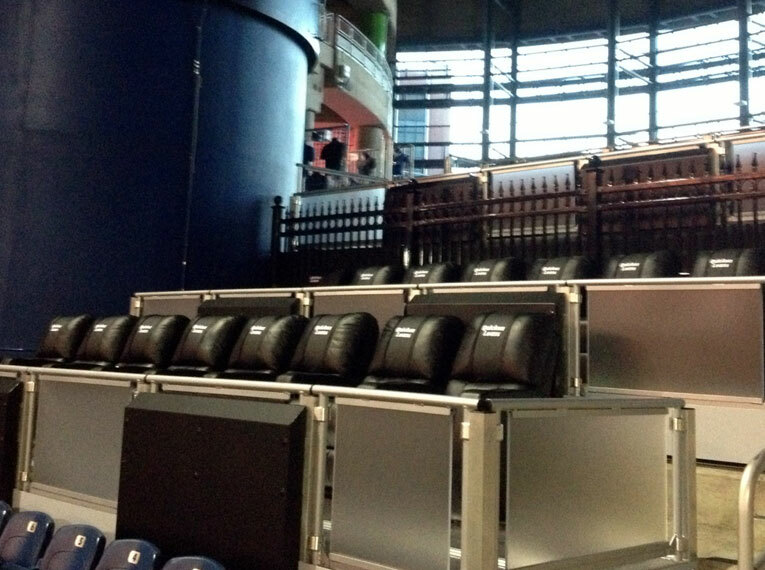 The system was placed on the concourse and encroached into the bowl. 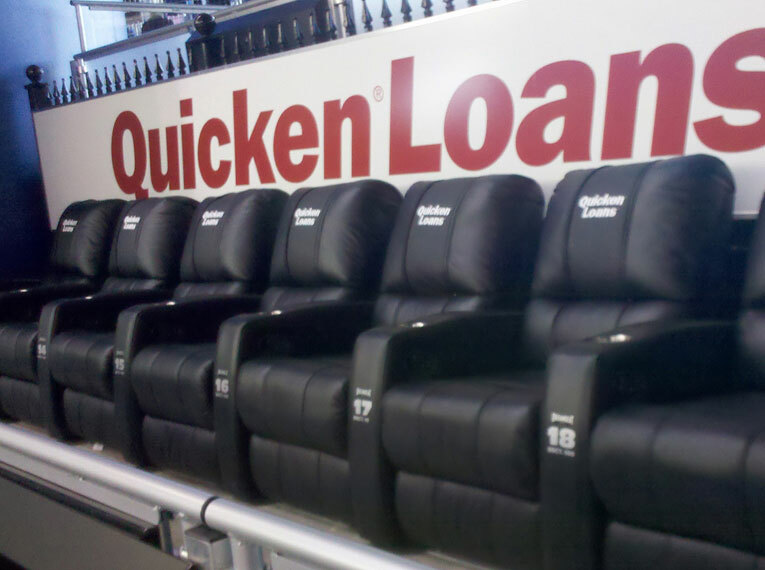 Standard stadium seats were removed to make room for the DreamSuite and the loss of standard inventory was well worth the revenue that was created when Quicken Loans came in and sponsored the DreamSuite. 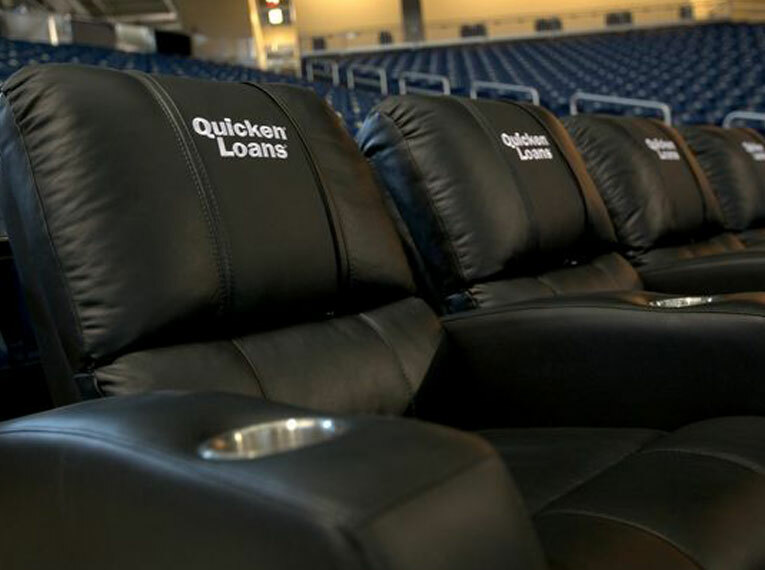 Quicken Loans now owns the entire DreamSuite inventory and can use it for promotions and employee perks. 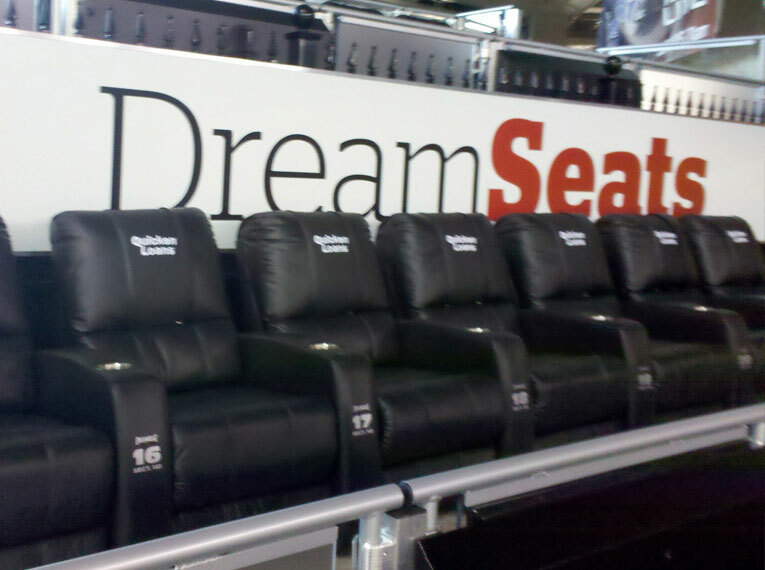 Seating Solutions and DreamSeat can do the same for you. 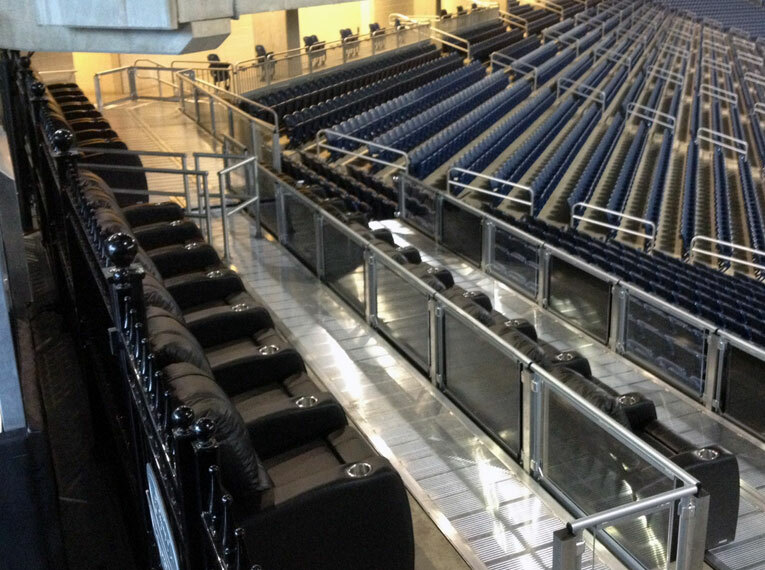 Please contact us to discuss taking an underutilized area in your facility and creating a unique revenue generating seating area.